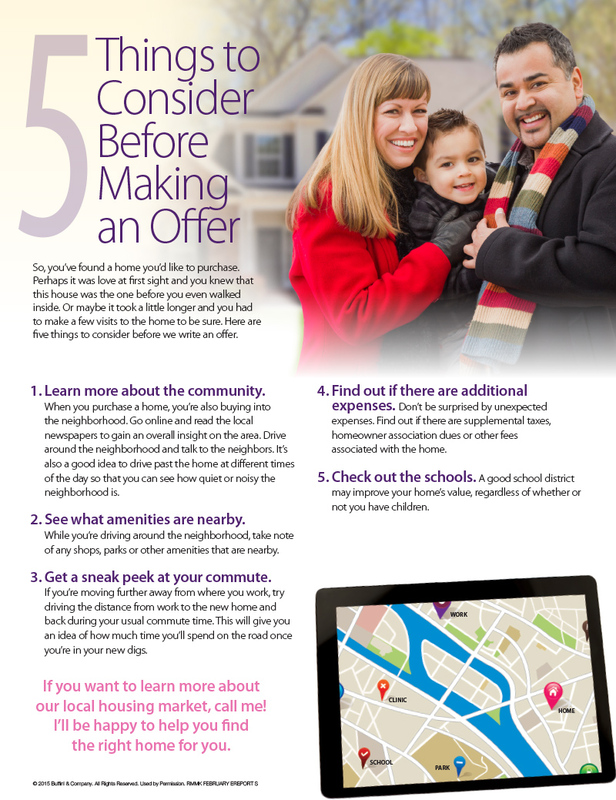 Are you thinking of buying a home or selling the one you have? It’s a great time to get into the market. The majority of Americans say that now is a good time to buy, because interest rates are low and home values are up. This month’s information gives you the lowdown on our National real estate market. While page one offers the facts and statistics on the current state of the market, page two outlines a few predictions about home prices, sales activity and new construction. If you’re curious about the local market, I can give you the scoop! Just give me a call and I’ll be more than happy to fill you in. Feel free to pass this information along to your family and friends who are thinking of buying or selling this year.